Social Studies 10 - Mr. Goldsack Room 233 In our classroom everyone is expected to think! Welcome to Social Studies 9!! September 9...why learn about Canadian History? We learned it doesn't have to be boring! For Today… choose 4 of the following and rank them in order of importance in regard to URBANIZATION. Provide a statement that outlines your reasons for the choice you made. September 29…Why might you leave your home, town, or country? What might you bring with you? The war in the Thirteen Colonies (1775-1783) resulted those who remained loyal to the king (Loyalists) having to abandon their property and businesses and flee north to British territory. 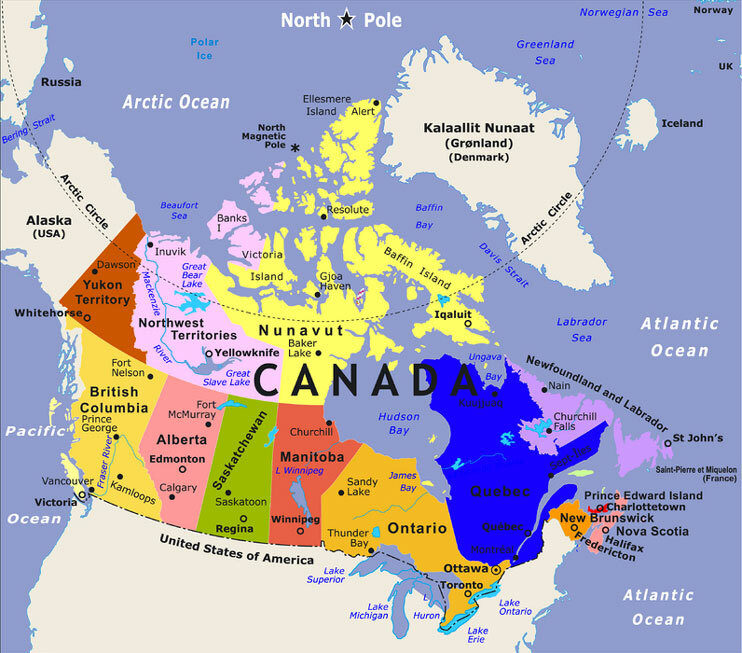 They settled in area such as Nova Scotia, New Brunswick and the western edge of Quebec (Upper Canada, soon to be Ontario) If you were a Loyalist, what would you bring to your new home and why? November 27...Mr. Goldsack is back! Students will review the history of the fur trade in Canada, and try to get a handle on how Metis culture developed and why they were willing to challenge the new government of Canada over issues related to land in 1869...stay tuned! Dec. 1...HBC vs NWC. Which company was better? Dec. 3...The Metis trappers and hunters created great maps that were very detailed and accurate...today we're going to make our own "Mind Maps"
Dec. 11...In the Library looking for Primary and Secondary sources for the Fur Trade. Jan. 5...Primary source document (letter from settlers to Selkirk)... Metis Activity (use your text and the web sources provided to answer the questions. Jan. 8... Please complete the Metis Activity...heads up!!! We talked about writing a story about a Metis person (or their family)...stay tuned! Jan 12/14...notes on the situation at the Red River settlement over the issue of land. Feb. 9-18 Residential Schools...Block 7 will have a guest speaker on Friday Feb. 12...Video: The Fallen Feather. Feb. 29..Blk 6....remember the CPR powerpoint and questions?? Please hand them in, and we'll continue building the railway! Blocks 7 and 8 need to complete the National Dream question below. Block 6...Riel: Hero or Traitor?? AFTER SPRING BREAK...All Term 3 assignments will be due, and students will prepare for a comprehensive test (with essay) once Mr. Rutley completes the mini unit on the Klondike Gold Rush. Mar. 30...Welcome Mr. Rutley! The road to the Klondike...gold, how did this mineral work to change the political, economic and physical landscape? 1. What is meant by Victorian or Victorian Era? 2. Describe some differences between the classes in Victorian society in Canada (e.g. rich vs poor). 3. Describe some of the Victorian values and attitudes. Which ones do you think are positive (use a +)? which ones do you think are negative (use a -)? Are any of these values and attitudes still around today? Explain. 4. What were some important medical discoveries during the Victorian era? What are some modern discoveries that have that level of significance? Apr. 29 You be the expert!!! Students have brainstormed ideas, watched a few videos (Worst Jobs being the most appealing for some), and worked in the lab doing research. May 18...Students in Block 7 and 8 wrote the composition exam today. Block 6 will write on May 25. The final assignment for the course revolves around the idea of "GLOBALIZATION". We'll spend some time learning how Canada entered the modern age (after the Victorian Era) and started to globalize...take the time to think and do a good job on this last task! May 20...the Laurier Age...how did Canada become more globalized? What changed? What still needed to change? Students should work in pairs to create a presentation for their peers (Victorian Era). Topics will be chosen in class. The presentation will happen during the double block exam day.